When Stu and Sarah quit their jobs to travel the world, inevitably they landed in Melbourne. Here, they became immersed in the local coffee scene and went on to developed their own skills as baristas. Returning back to the UK, they were keen to share their newfound love for premium coffee. 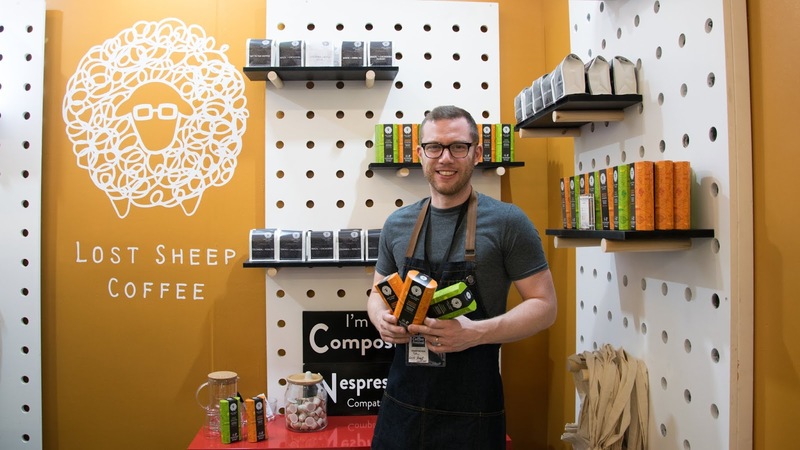 The pair opened a roastery and coffee shop in Kent and The Lost Sheep brand was born. Today, they make top-grade coffee ranking among the world’s top 5% of quality coffees. 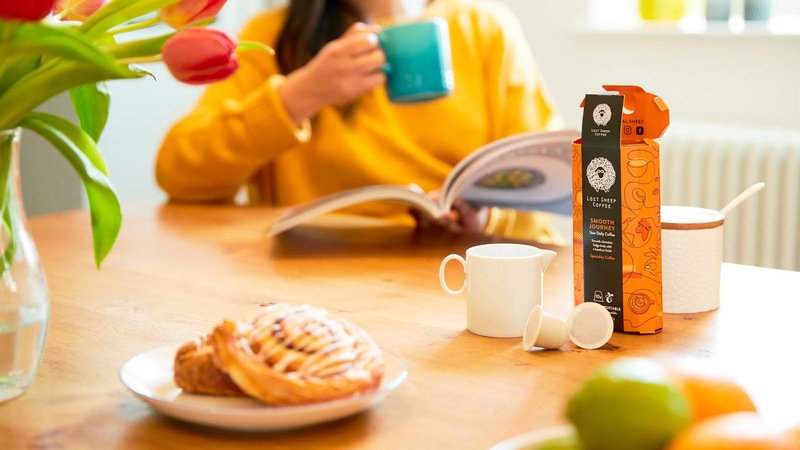 Instead of focusing on an exclusive group of coffee cognoscenti, they wanted their brand to make the wonder of speciality coffee accessible to everyone. 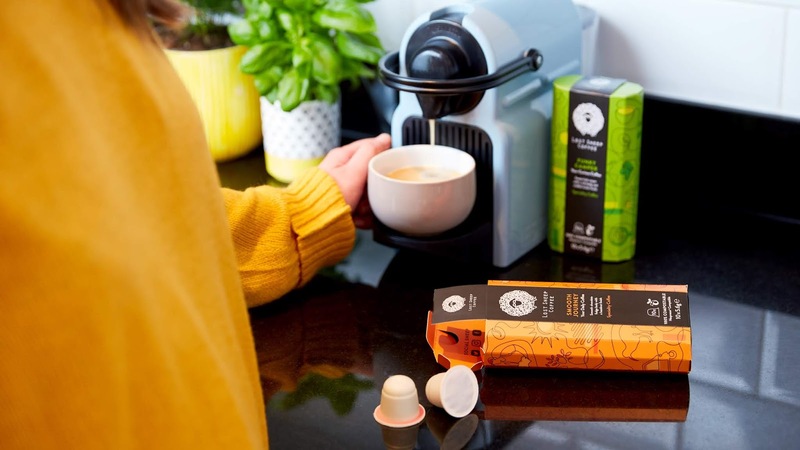 Stu and Sarah developed an eco-friendly, compostable Nespresso coffee pod making it convenient for anybody to experience top-notch coffee at home. The challenge for Elmwood: how could we develop packaging to help more people find The Lost Sheep in store? To Stu and Sarah, artisan coffee doesn’t mean inaccessible coffee. They wanted The Lost Sheep to offer a quality coffee experience for everybody. 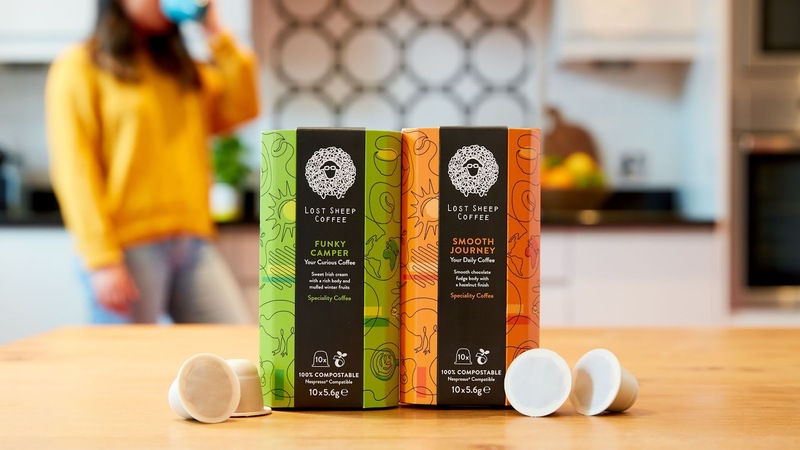 For those who know a little or a lot about coffee, The Lost Sheep is about experiencing the journey of new flavours and taking coffee appreciation up a notch. At the same time, this experience can’t have a negative impact on the environment – decent coffee shouldn’t cost the earth by adding to landfill. 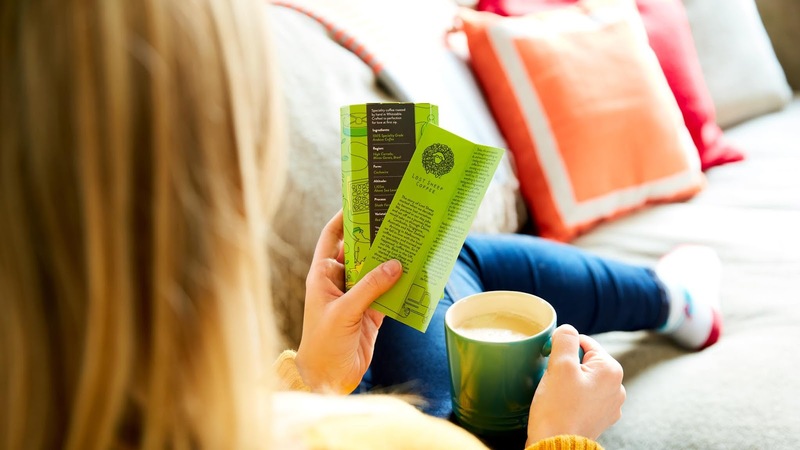 Rather than focus on coffee strength like everybody else, the packs we created had to focus on flavour, quality and deliver on taste cues, while standing out on a cluttered supermarket shelf. So we decided to make the packs a journey of discovery in themselves, telling the colourful story of how Stu and Sarah found their love for premium coffee. Taking cues from the world of wine and chocolate, we developed a playful pack that consumers would want to pick up, explore, share and display on their own kitchen counters.